Today, almost all business internet presences require some form of content marketing for leads and blogs are the tip of the spear in performing that function. They are brief, pointed, no-nonsense messages, small businesses can use to target their audience, draw them in to visit their websites and take valuable action to turn leads into sales. The great majority of internet users shop on intelligence. They do not search for products as much as they research solutions, trust, and credibility. They consciously avoid sales pitches. They would rather find a benchmark of benefits and price from which they might choose one option over another. Content marketing for leads focuses on providing content to those seeking answers to their questions. This could include white papers, ebooks, case studies, videos, product specifications, visual content and testimonials. The intent is to pull in prospects, answer their questions, engage the reader, and begin to create relationships that will eventually convert to customers. The process starts by focusing on the small business's target customer and understanding what they are searching for. From there, the small business entity creates or collects compelling informational content. The intent is to inform, maintain, and change behavior. Blog articles should focus on keyword phrases. These phrases contribute to an improved search engine optimization, which increases the business's ability to be found by those interested in what they offer. Blogs drive social media connections, inviting sharing, comments, and conversation threads. They, thereby, build a customer community available to help drive prospect decision making. For example, once someone "likes" or "pins" the product, their likes and pins appear on their friends and contacts platforms. Blog articles support sales with how-to use lessons or descriptions of product applications and the results. Blogs provide easy-to-access and use, free to low-cost content. Blogs are proprietary media. The marketing content for leads belongs to the business - even if it has been produced by a subcontracted copywriter. The Return on Investment (ROI) measure lies in the performance of the business blog versus the costs associated with running the blog. Some of the important things to focus on in calculating the ROI for generating content marketing for leads include: attraction stats, content campaigns, offers, landing pages and number of leads generated. Lead generation is a result of an interested reader providing their contact information to you in return for something of value and these should be very easy to count. The trick is to nurture these leads and find the most qualified from those who simply wanted a download. To improve the results, be persistent in tracking the above three metrics. Focus on the content that is generating traffic, leads and most importantly use content to nurture those leads. 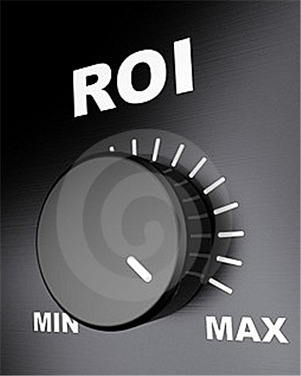 Any time or money invested in a library of blogs depends on the ability to measure the ROI.